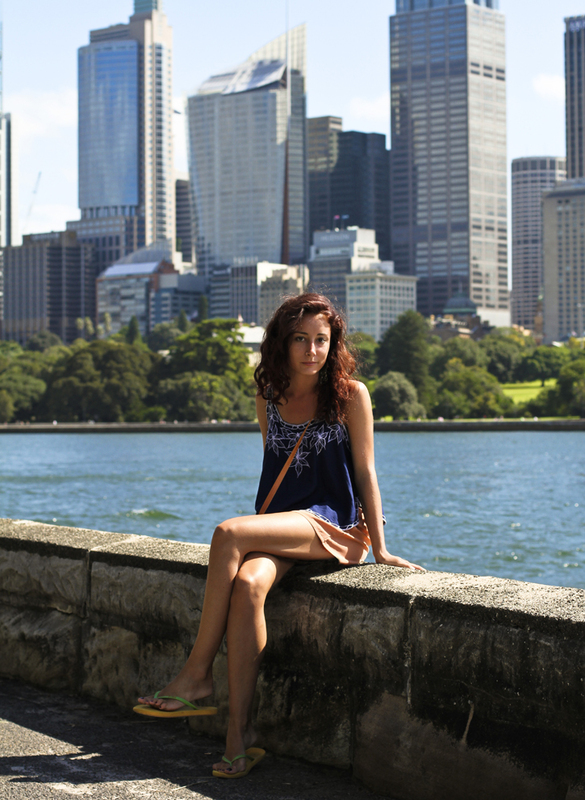 Wandering Threads: [ SUNNY SYDNEY ] Hello Australia, Goodbye Traveller Scruff! [ SUNNY SYDNEY ] Hello Australia, Goodbye Traveller Scruff! So that's it, after ten long months of rickshaw riding, street stall haggling and noodle eating in the deepest depths of Asia, I've finally reached Australia, ready to get reacquainted with the western world, and man, what a shock. Why does it feel like there's been a zombie apocalypse in Oz? Where are all the people?! Why am I not under threat of being mowed down by a motorcycle on every street I cross (not to mention the pavements)? Where are all the street vendors? And what the hell is with this $4 Mars Bar deal?! In a forethought to the state I was going to re-enter society as a non-traveller with an ever-dwindling budget, I picked up a few necessities in Bangkok's infamous Chatuchak Market back in January. Let's face it, you can't walk around one of the worlds most stylish cities in harem pants and washed out, creased up t-shirts (or at least that's what my iron wielding mother would say). So for the super cheap price of $6 I snapped up this rather chic leatherette box satchel and two pairs of these silky tailored shorts for $9. Bargain! I found this cute embroidered navy blouse in Kuta, Bali just a few days ago and loved it so much I bought 2! And there's those ethnic bands again (also from Kuta), see, perfect traveling jewellery that you never have to take off! I love seeing what outfits you put together on your travels - where you sourced the pieces, and what they cost! Now i'm back in the UK I am hoping to post more outfits/shopping finds from around the world. I'm actually exhibiting some at Latitude festival in a couple of weeks. I will also be adding a new feature to the blog which details some of the best places to shops around the world. Look out for it!